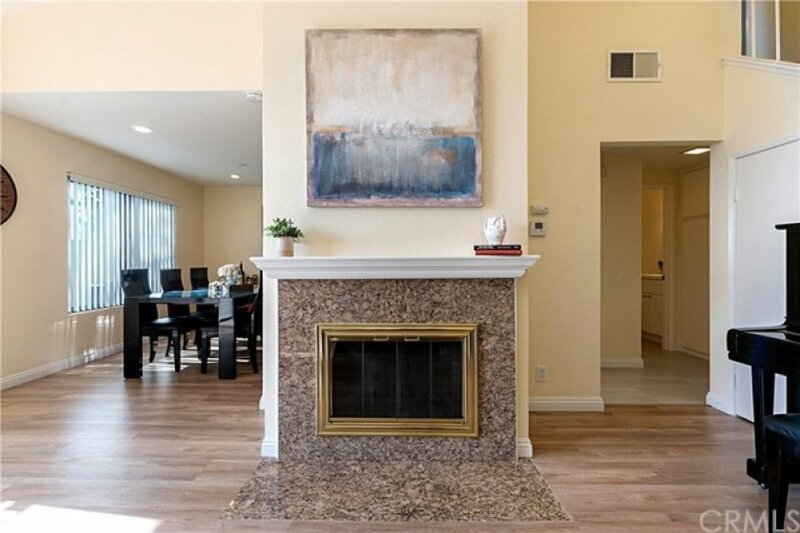 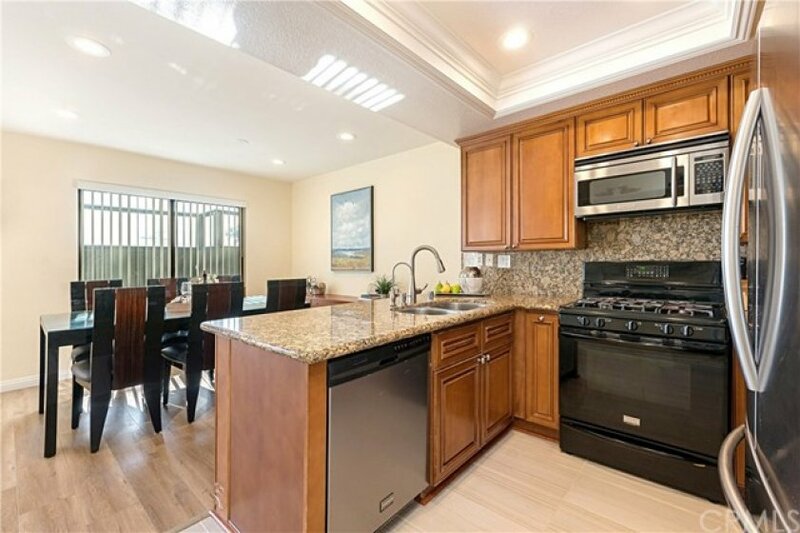 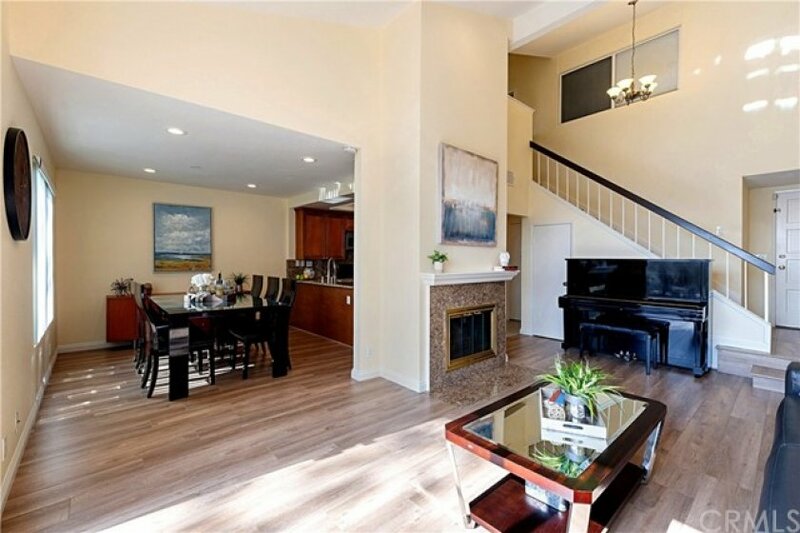 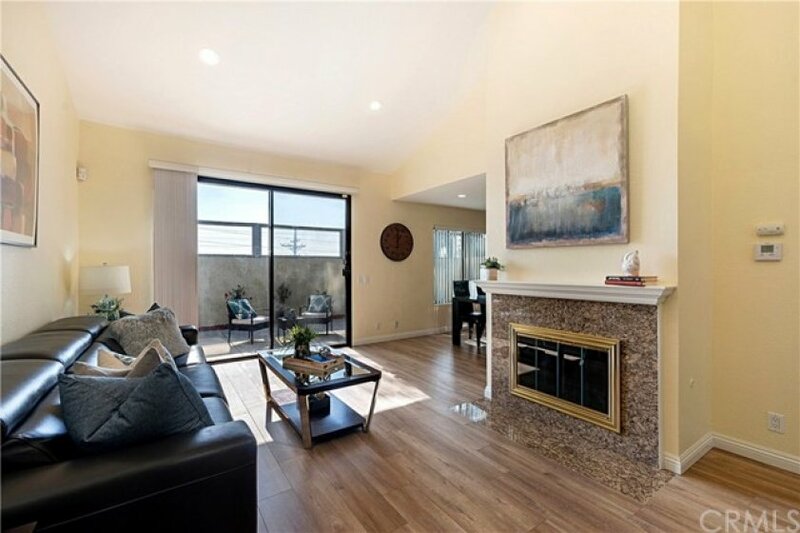 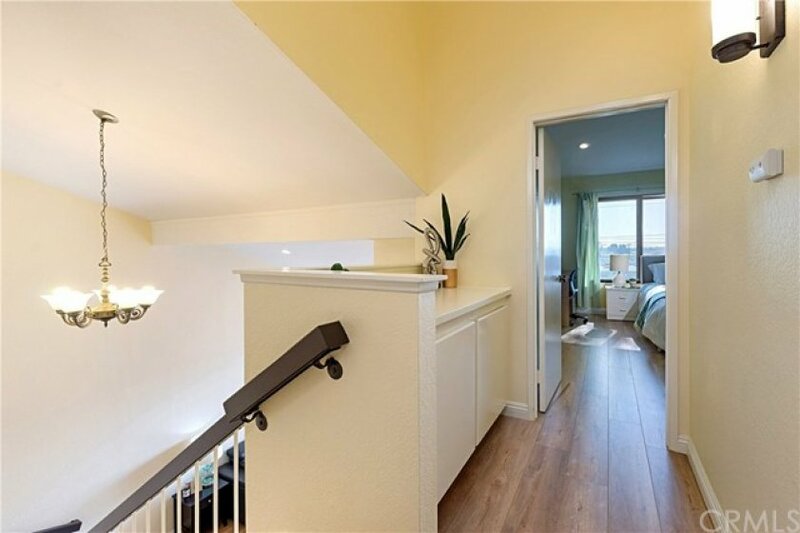 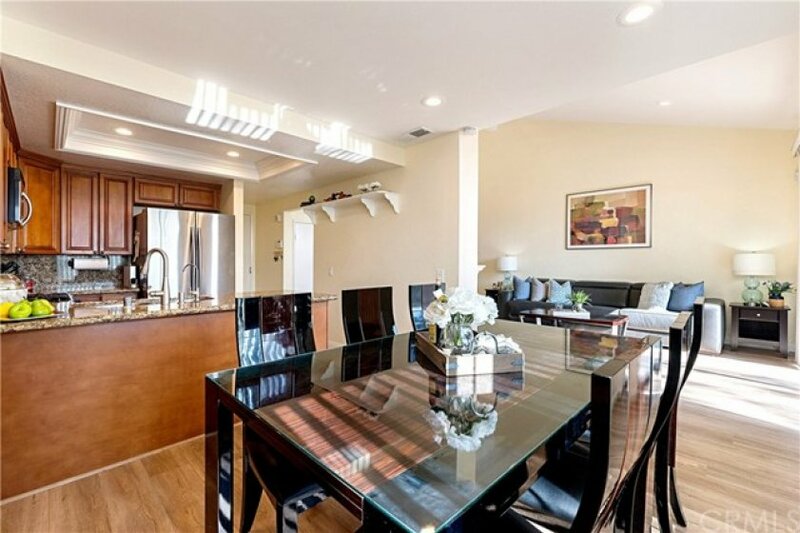 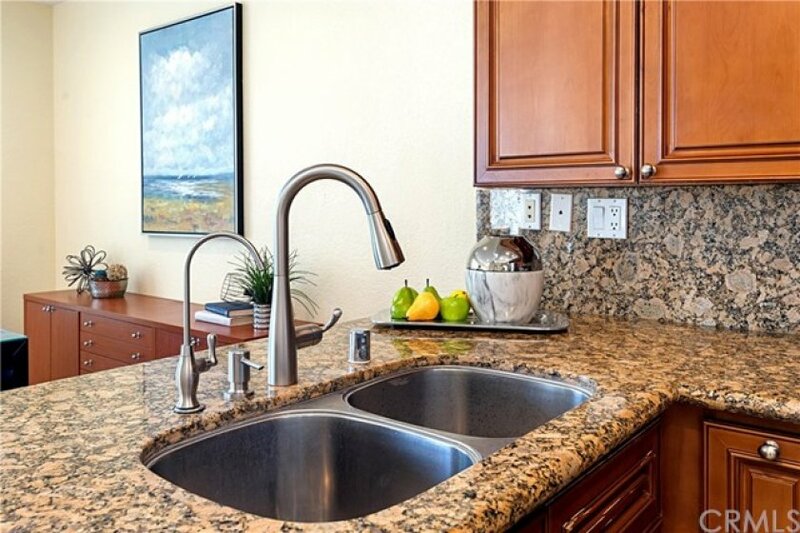 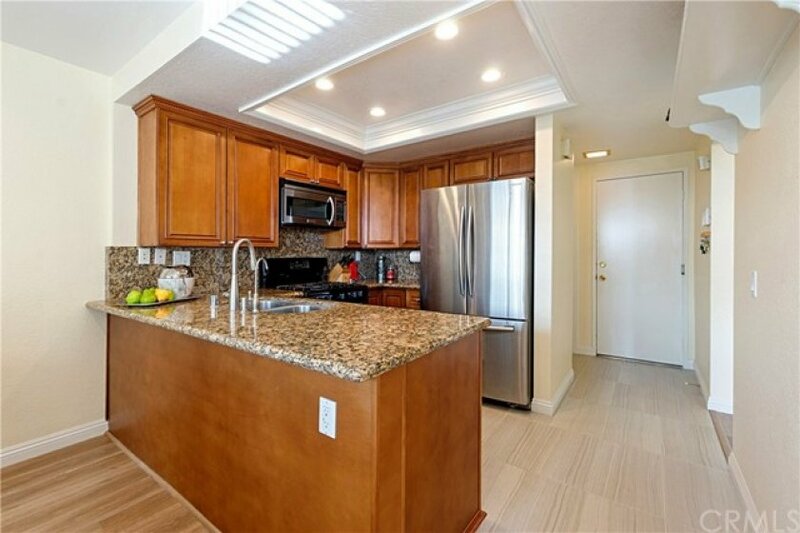 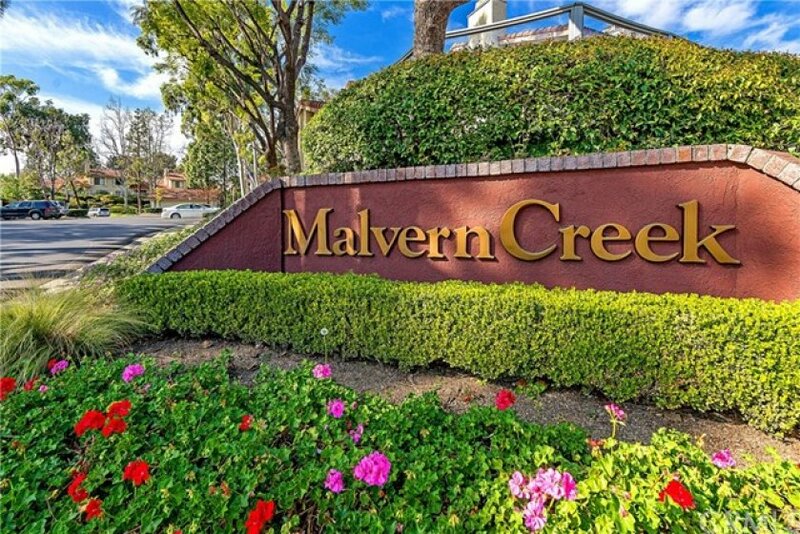 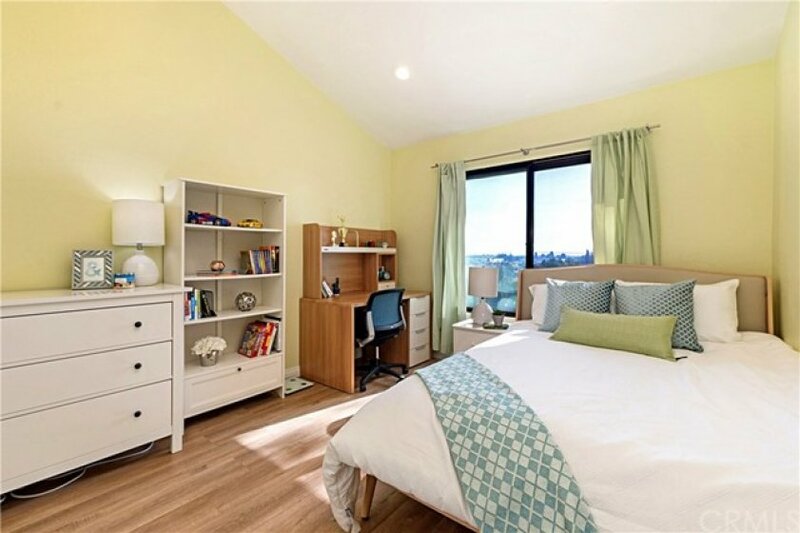 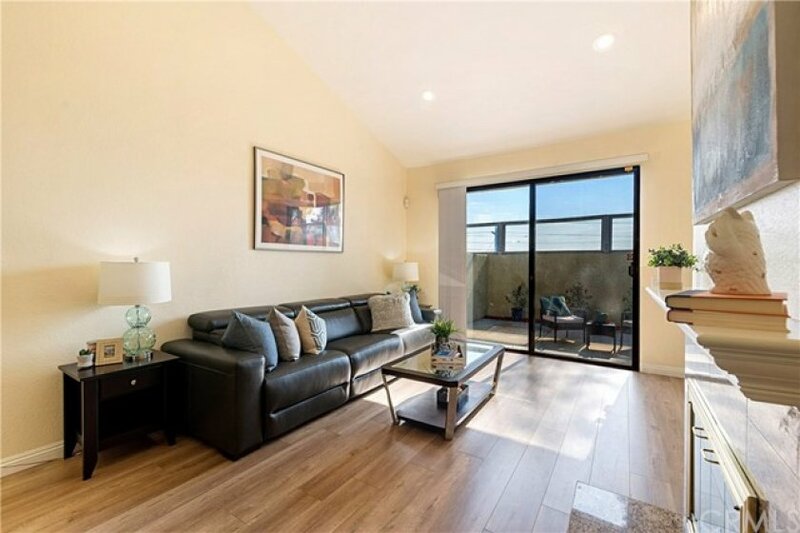 Gorgeously remodeled condo located in the highly sought after Malvern Creek Community offers 2 bedrooms and 2.5 bathrooms. 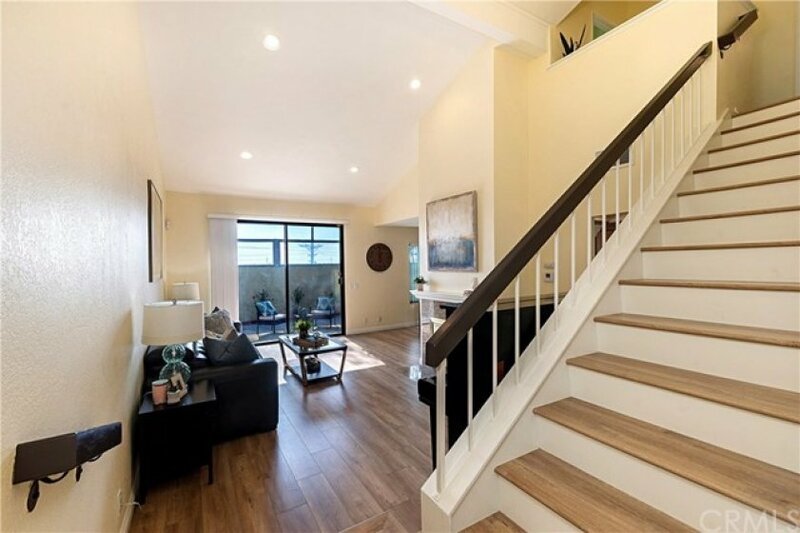 The home shows beautifully with recessed lights, modern wood flooring & trendy tile flooring throughout, lots of natural light with vaulted ceilings. 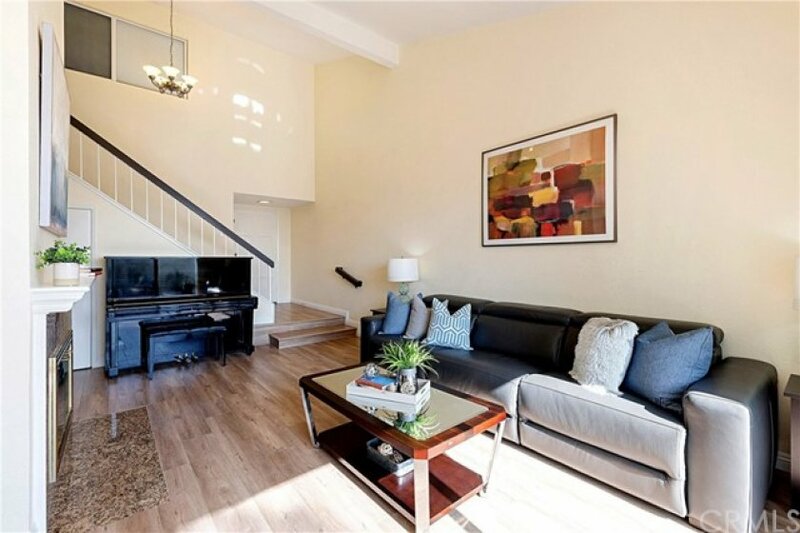 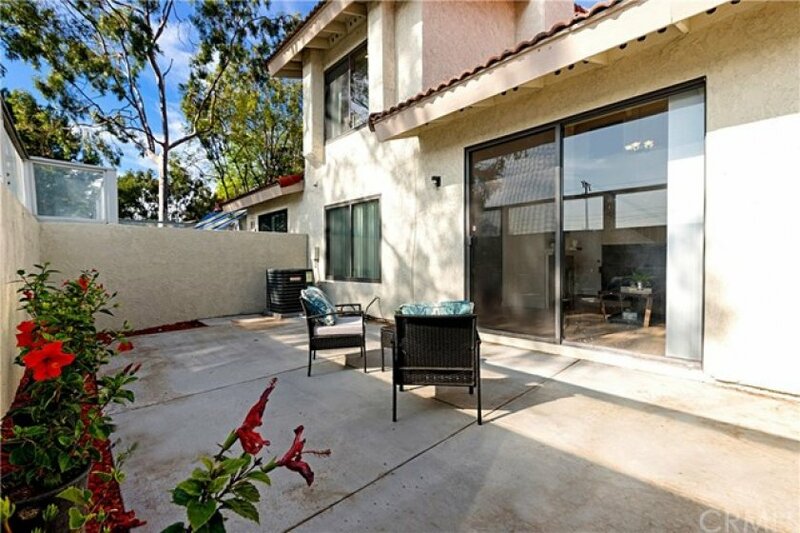 Enjoy the spacious family room with cozy fireplace, sliding door to the lovely patio. 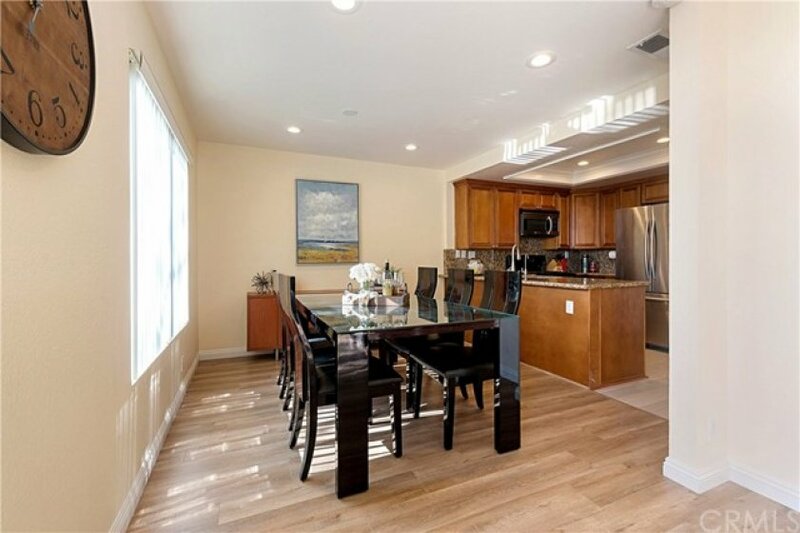 The open floor plan presents the formal dining room and is connected to a gourmet kitchen with stainless appliances, granite counter top, wood cabinetry, trey ceiling and it circles back to the family room. 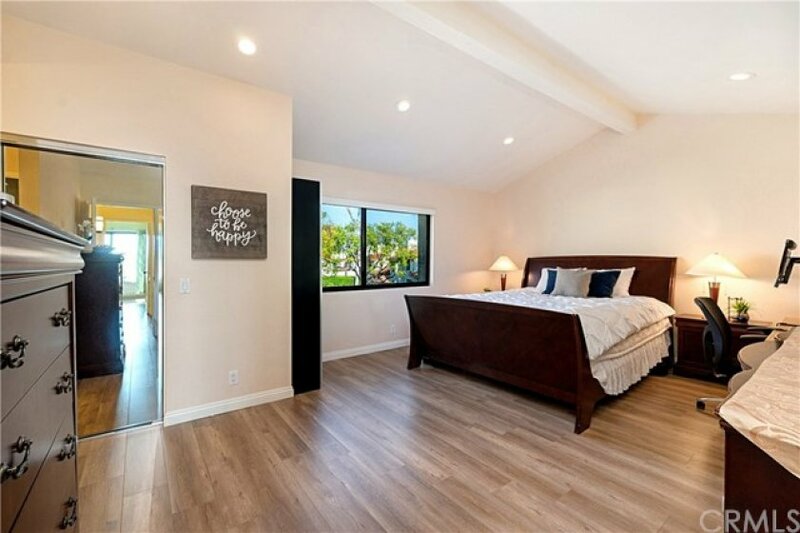 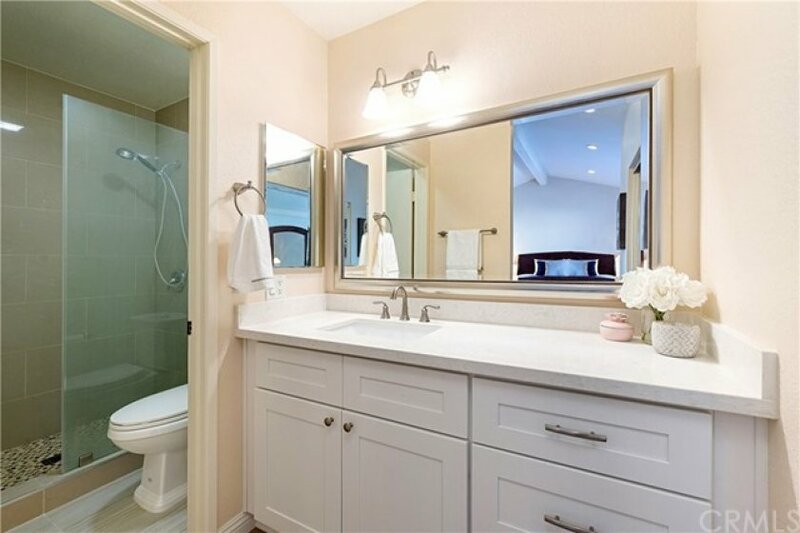 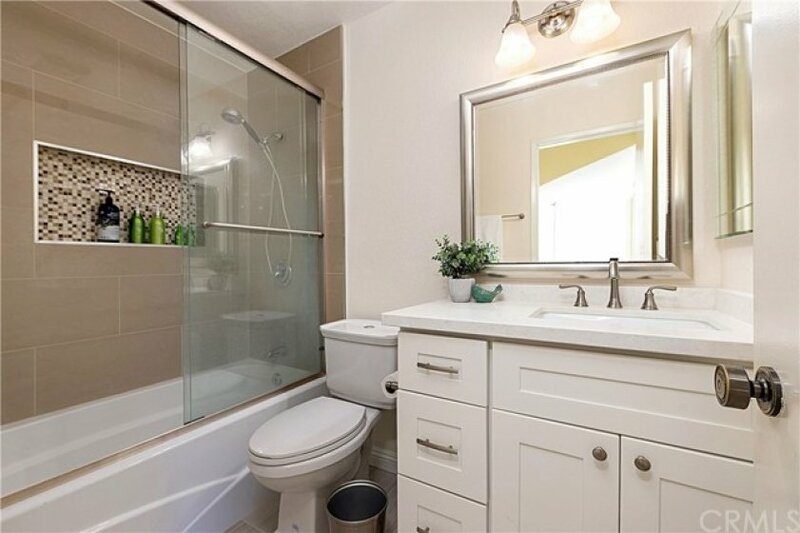 Upstairs to the master suite features vaulted ceiling, large closets and is completely remodeled throughout the gorgeous master bathroom with beautiful vanity, quartz counter and custom designed shower stall. 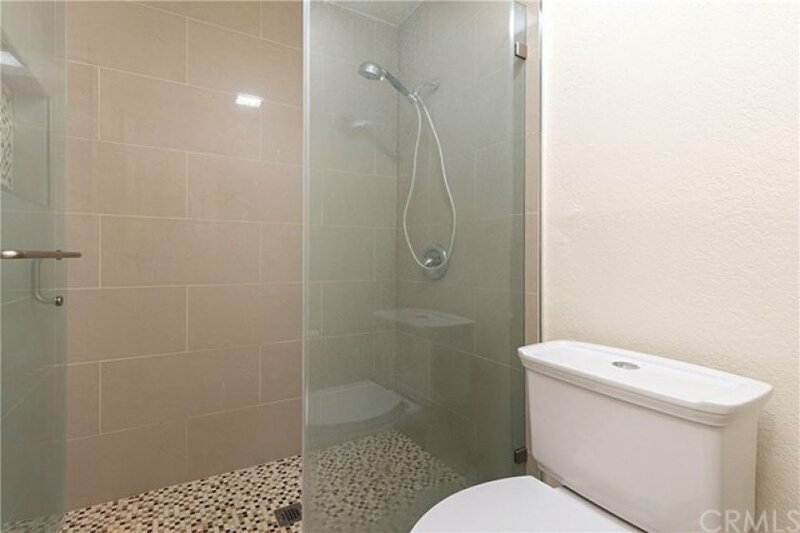 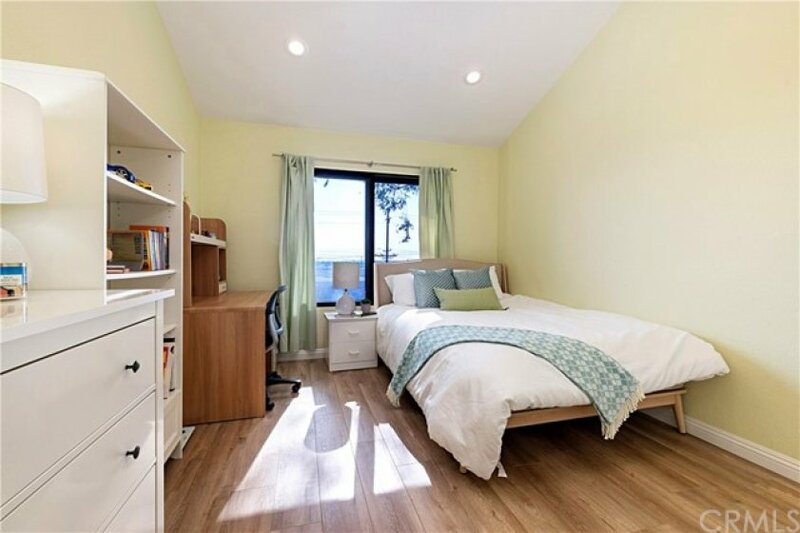 Spacious secondary bedroom shares upgraded beautiful hall bath. 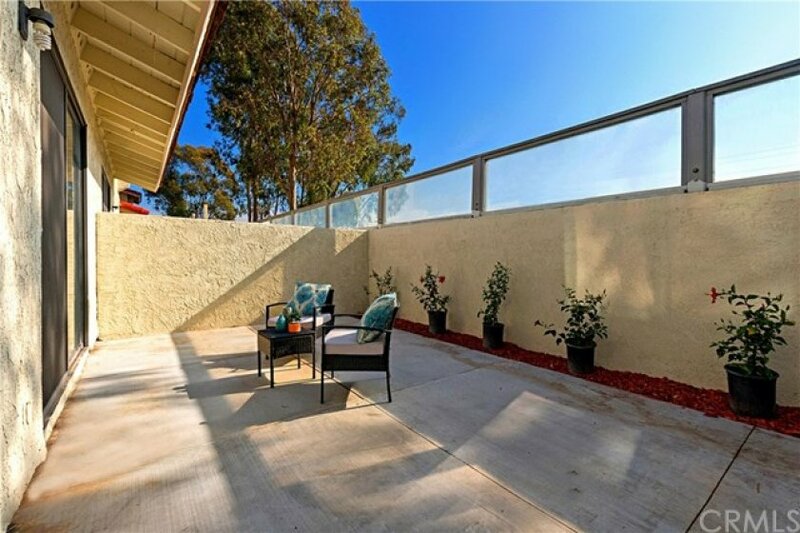 Private enclosed patio to entertain friends and family. 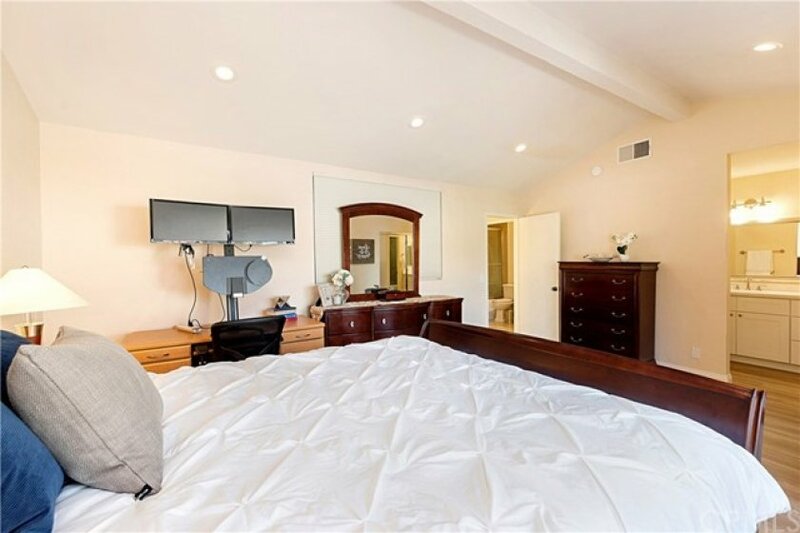 Newer air conditioner and heater. 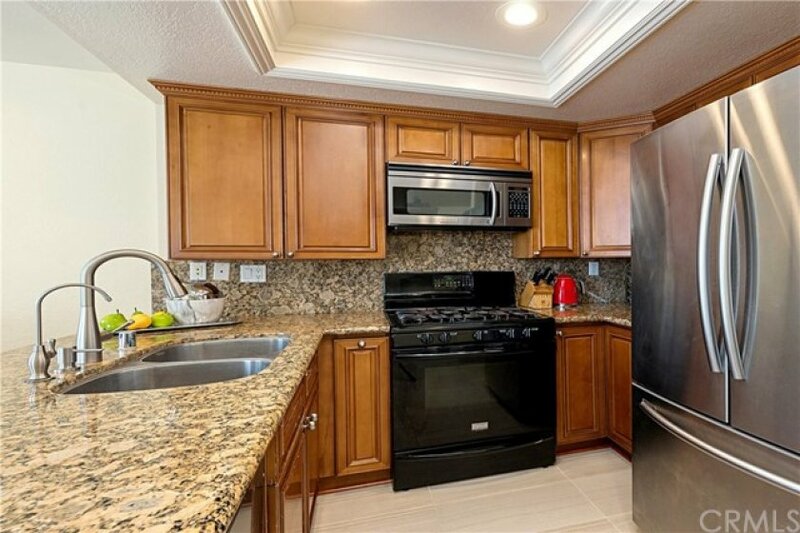 2 car attached garage with storage cabinets and laundry hook ups. 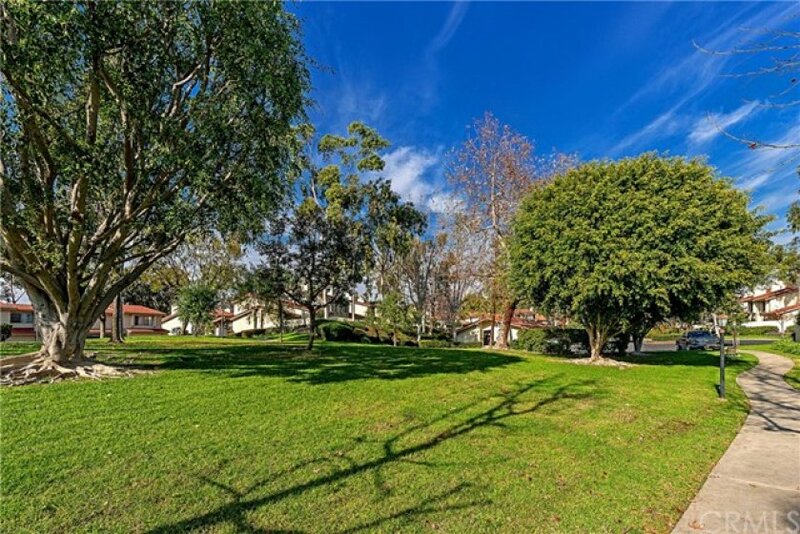 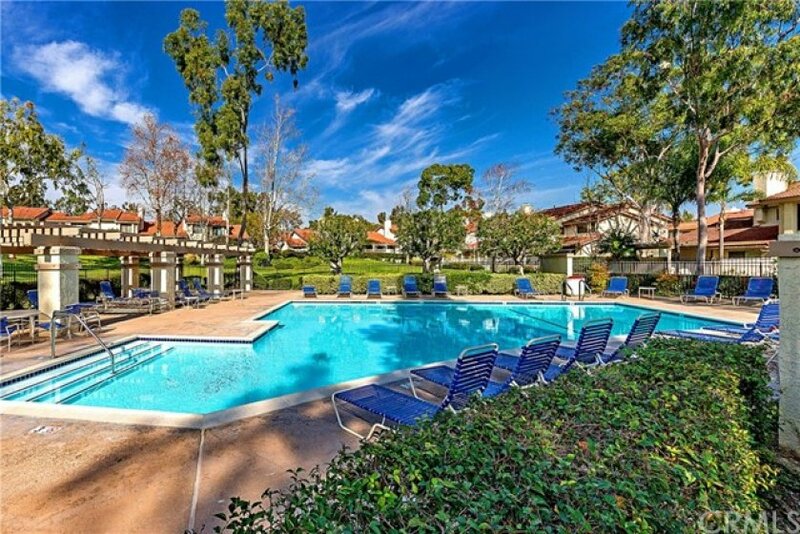 Complex grounds has 2 pools and spas plus serene ground with lots of trees and grass. 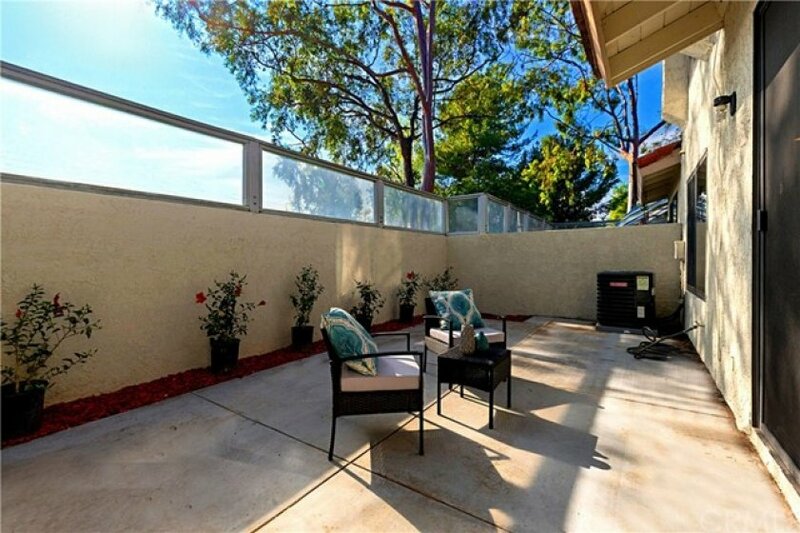 Great location across from Amerige Heights... close to shopping, dining, and Fisler Elementary and Middle School. 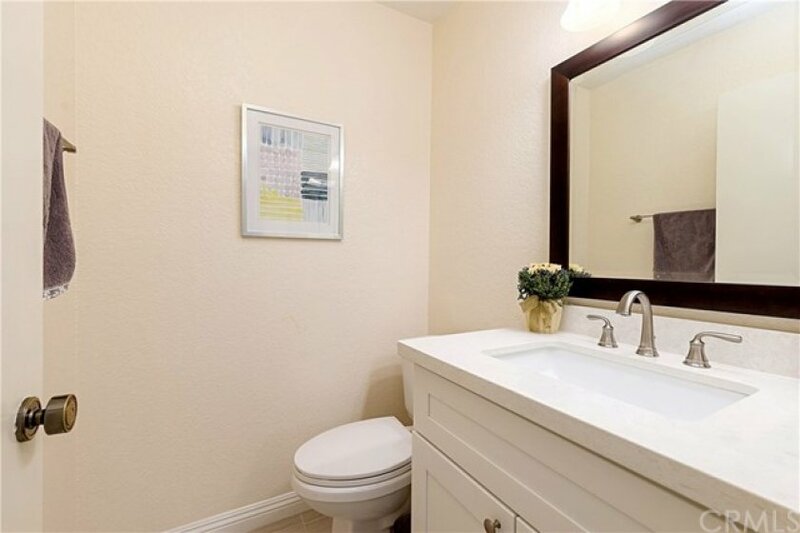 Must see to believe it. 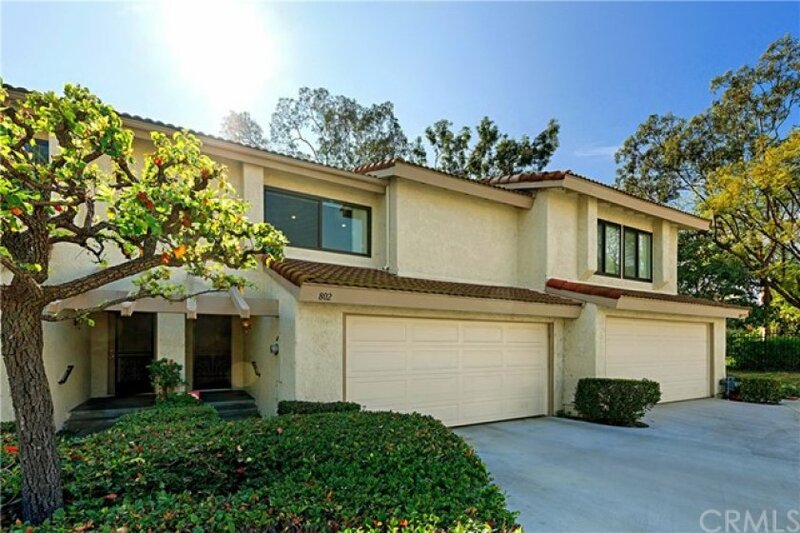 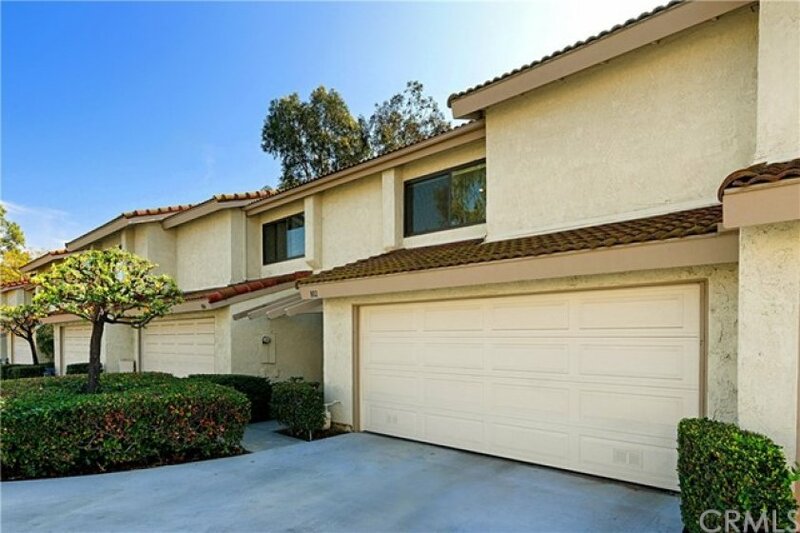 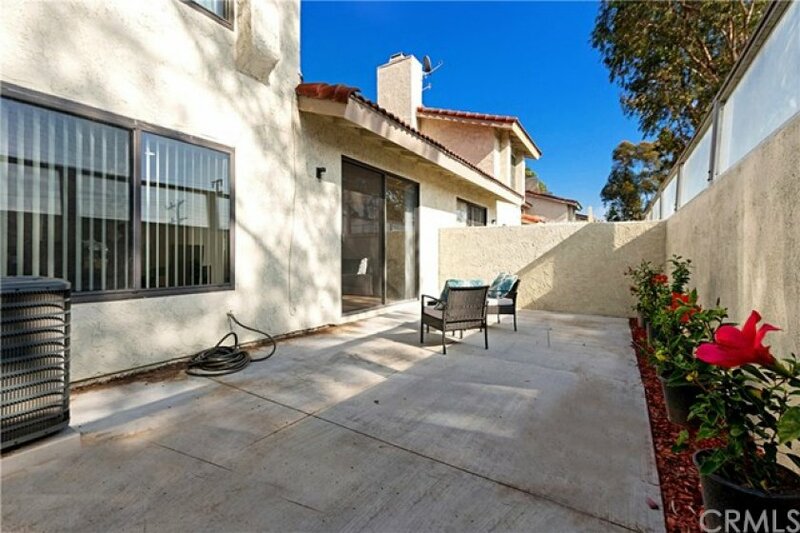 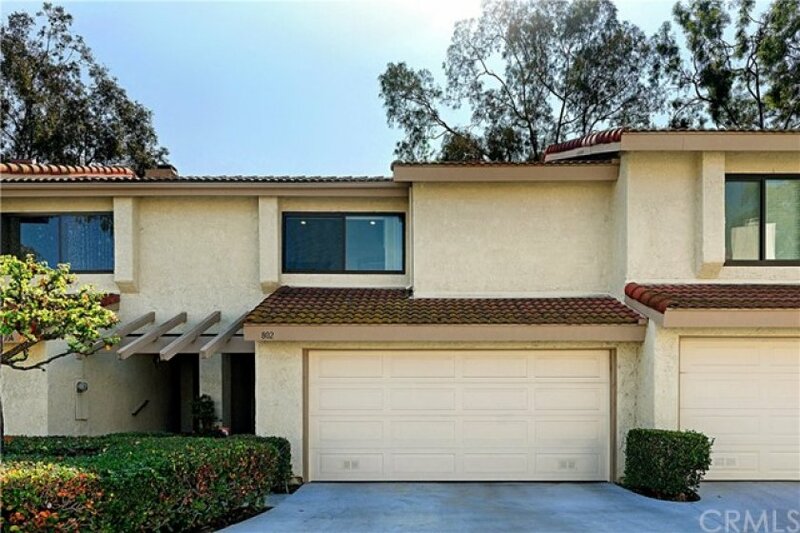 Listing provided courtesy of Sonia Park at Keller Williams Realty Irvine. 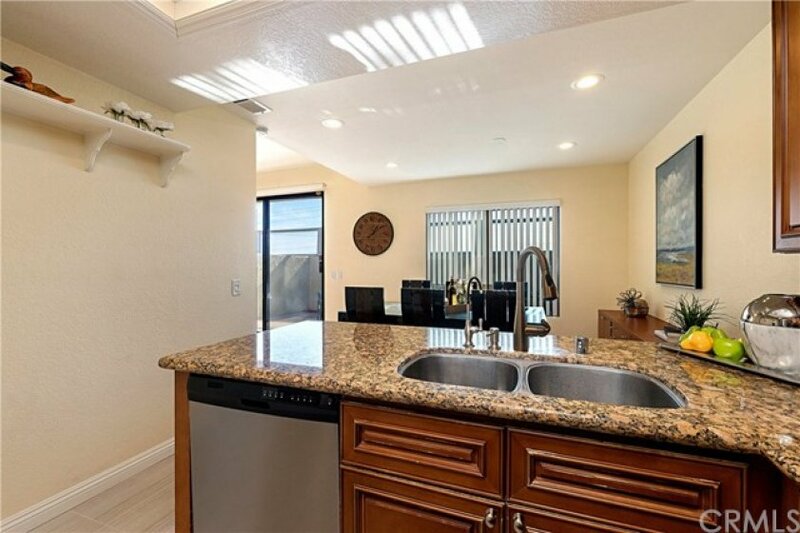 1 beds, 1.5 baths, 1,098 sq.ft.